Amber joined The Mattz Group in April 2017 as our Marketing Director. She handles the onboarding of all listings while formulating and executing our marketing strategies with social media outreach to give our listings a superior market presence and competitive edge. 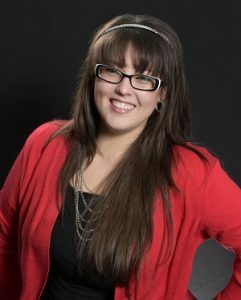 Amber began her real estate career as a marketing assistant in 2005 with Century 21. She has a full range of knowledge in all areas of our office support staff. Her background also includes residential and commercial real estate transactions. 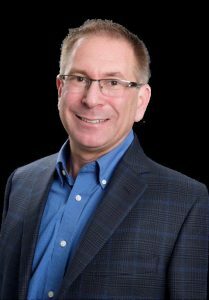 Stephen joined The Mattz Group in early 2019 as our Director of Operations. Born and raised in the South Suburbs of Chicago, Stephen attended Homewood Flossmoor High School and then Received a Degree in Latin American History and a Minor in Spanish from Tulane University in New Orleans. While at Tulane he had the good fortune to do an internship for the City of New Orleans’ Department of International Trade. Post College, Stephen joined the family supermarket business in South Chicago started by his grandfather and succeeded by his father. He flourished as a leader and increased sales and profits to a point that the family was approached by a major chain who bought the store. Stephen’s past has had a huge impact on his customer service, marketing, and sales skills. As a new Realtor in 2002, he used his professional background along with hiring the top Real Estate company in the country to ensure his success in helping his Real Estate Clientele. Stephen joined Keller Williams Preferred Realty in 2009 as a residential and commercial broker. In 2014, he accepted the position of Productivity Coach. He quickly grew the program from 25 agents to well over 100, helping KW associates with their skills, models, and businesses. John joined The Mattz Group in 2015. He serves as the Operations Director in coordinating all activities of The Mattz Group. He is the lead evaluator of talent and group trainer for new associates. In addition to his Operations role, John handles all negotiations for incoming contracts on our active listings. John has held a variety of functions to support the team including buyer specialist and executive assistant. Angela joined The Mattz Group in early 2019 as our Client Care Specialist and Transaction Manager. She is focused on providing outstanding customer service to both our seller and buyer clients while guiding them through their real estate transaction. Prior to joining the team, Angela worked as a Staff Attorney and real estate broker with a focus on residential real estate transactions.She has served as Litigation Counsel at the Attorney Registration & Disciplinary Commission as well as a Cook County Public Guardian.